INTERNATIONAL VISITOR: Longkou Municipal People’s Government Mayor Lyn Bo met with Wattle Range Mayor Peter Gandolfi as part of an international trip to the Wattle Range region on the weekend. Mayor Gandolfi showcased what the region had to offer, including the Patrick of Coonawarra winery. 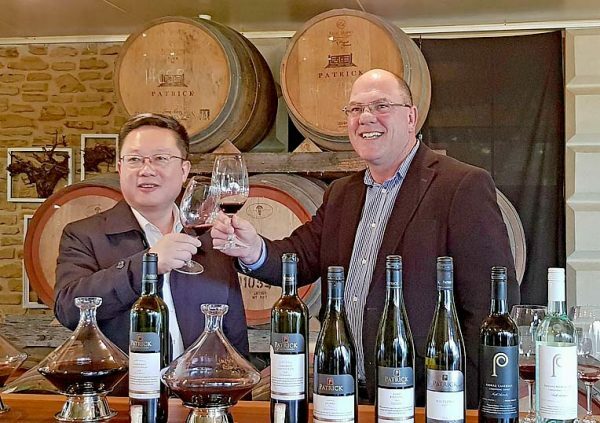 THE Wattle Range region strengthened its friendship city relationship with a Chinese city last weekend with a visit from a Longkou delegation.